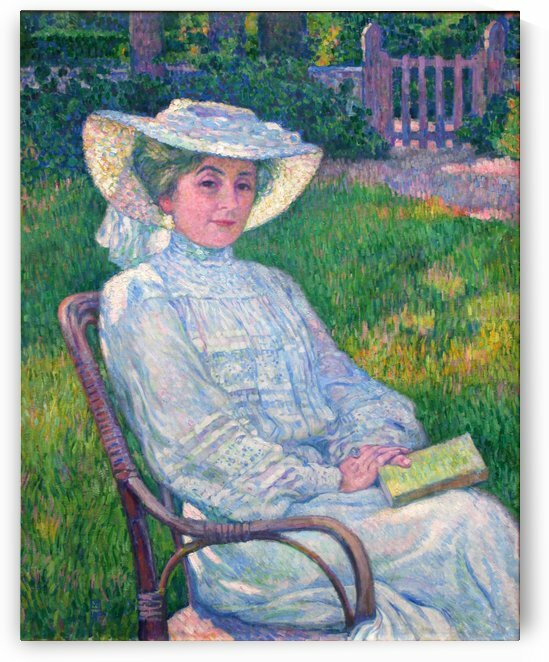 Théophile "Théo" van Rysselberghe (23 November 1862 – 14 December 1926) was a Belgian neo-impressionist painter, who played a pivotal role in the European art scene at the turn of the century. Born in Ghent to a French-speaking bourgeois family, he studied first at the Academy of Ghent under Theo Canneel and from 1879 at the Académie Royale des Beaux-Arts in Brussels under the directorship of Jean-François Portaels. The North African paintings of Portaels had started an orientalist fashion in Belgium. 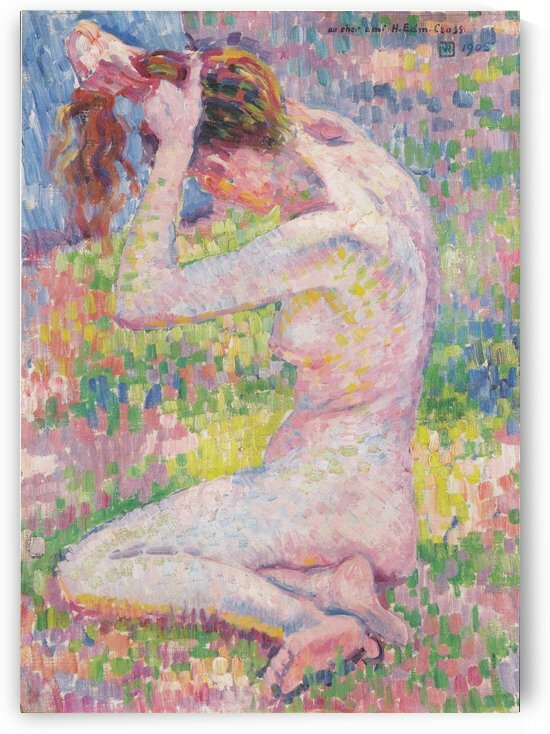 Their impact would strongly influence the young Théo van Rysselberghe. Between 1882 and 1888 he made three trips to Morocco, staying there a total of one year and half. 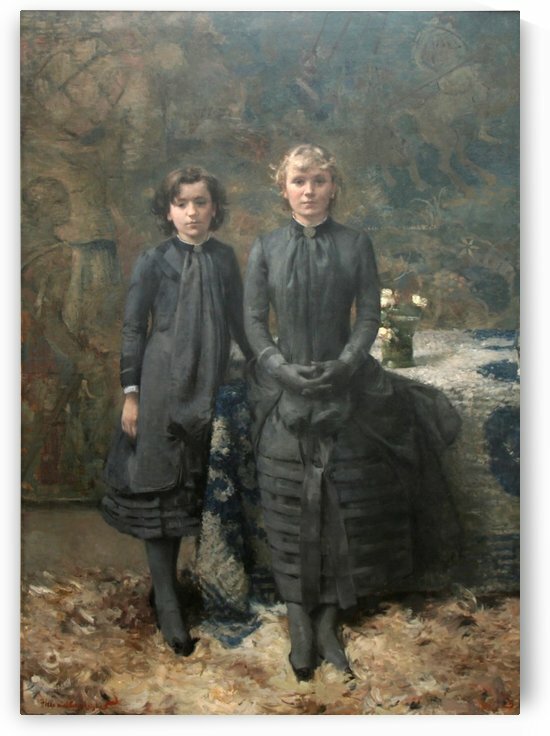 Barely 18 years old, he already participated at the Salon of Ghent, showing two portraits. Soon afterwards followed his Self-portrait with pipe (1880), painted in somber colours in the Belgian realistic tradition of that time. His Child in an open spot of the forest (1880) already departs from this style and he sets his first steps towards impressionism. Yet soon he would develop his own realistic style, close to impressionism. In 1881 he exhibited for the first time at the Salon in Brussels.